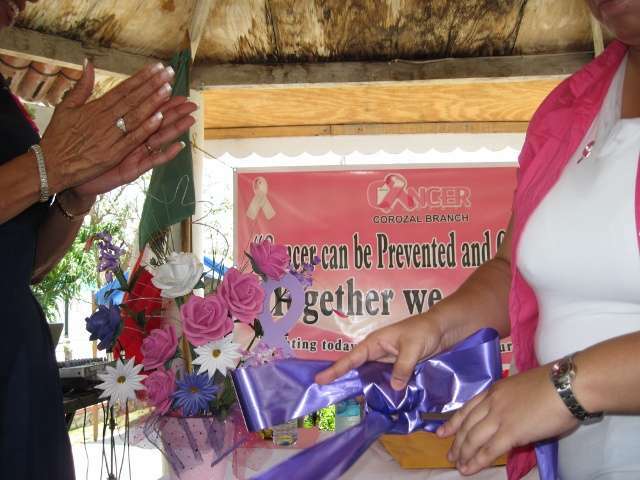 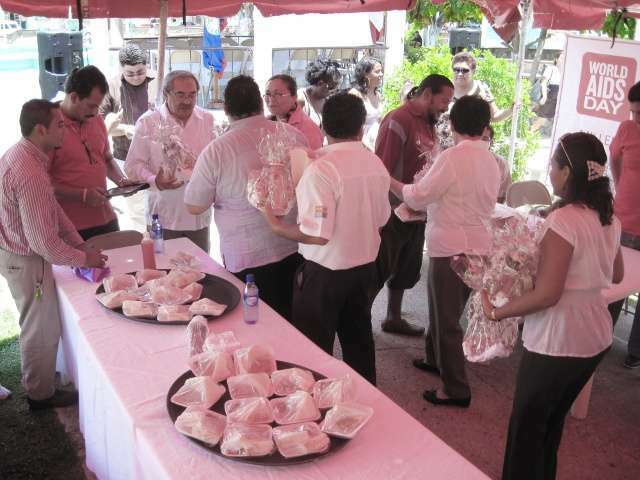 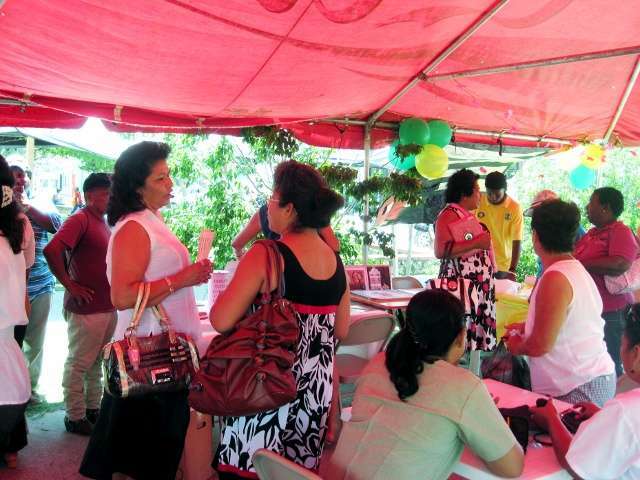 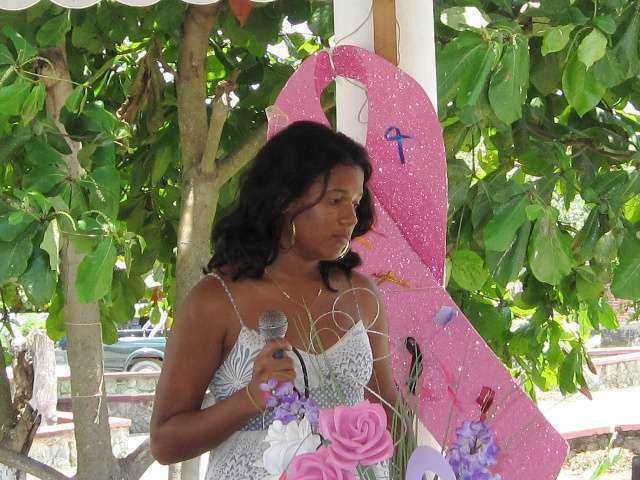 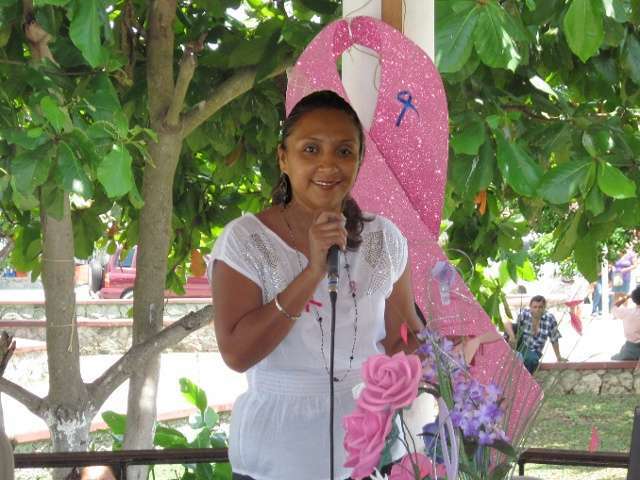 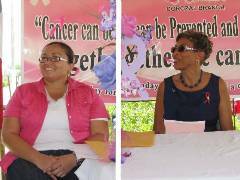 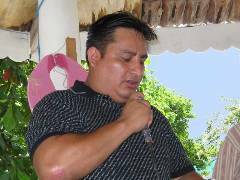 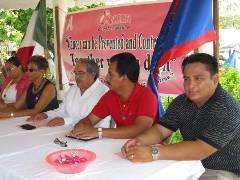 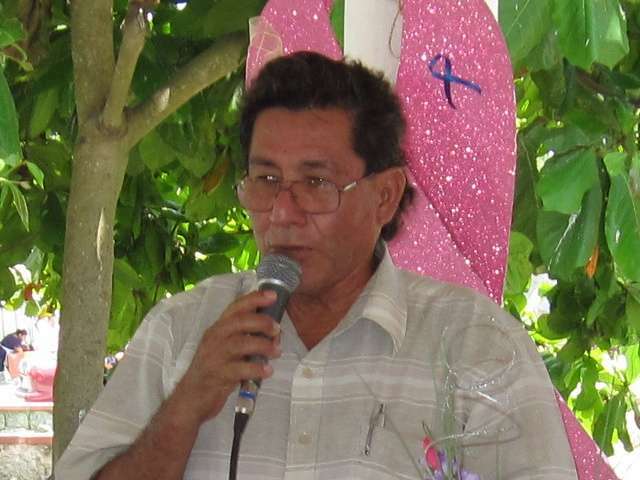 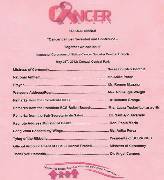 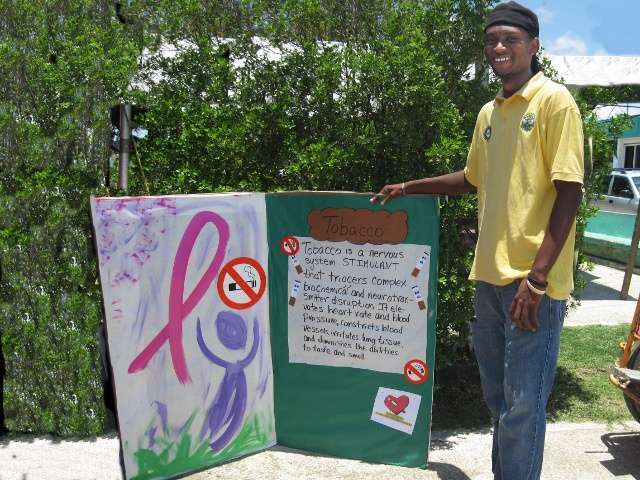 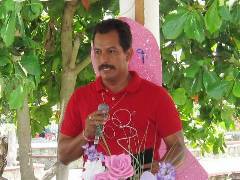 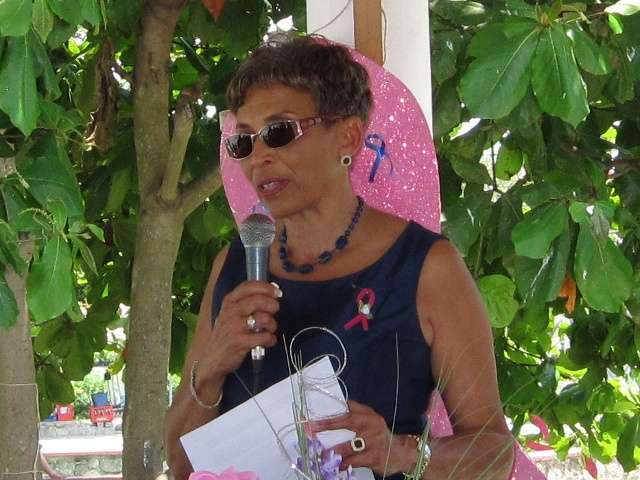 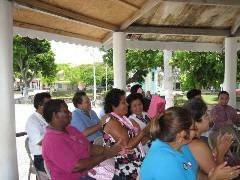 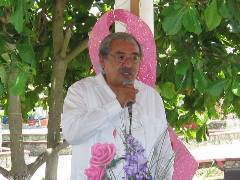 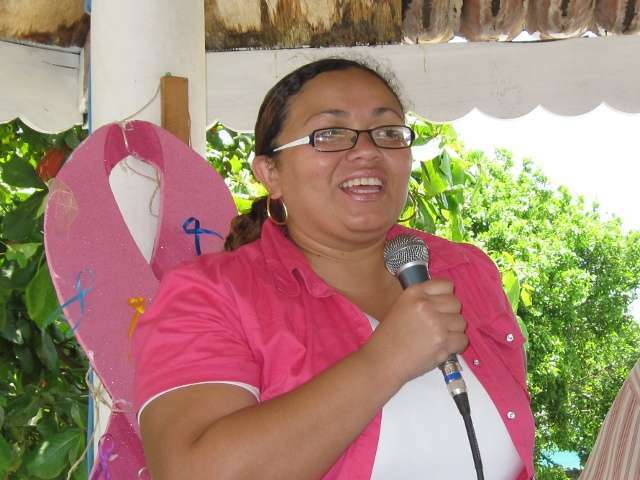 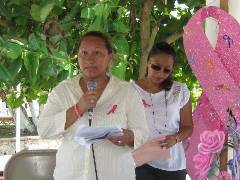 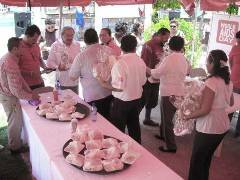 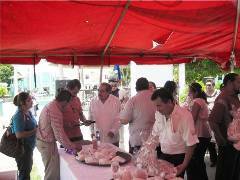 On May 25, 2012, an official launching of the Corozal Branch of the Belize Cancer Society was help at Central Park in Corozal Town. 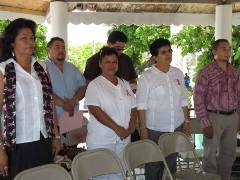 On hand were representives from the medical fields of both Corozal and Mexico, and many of the people associated with the Corozal Community Hospital. 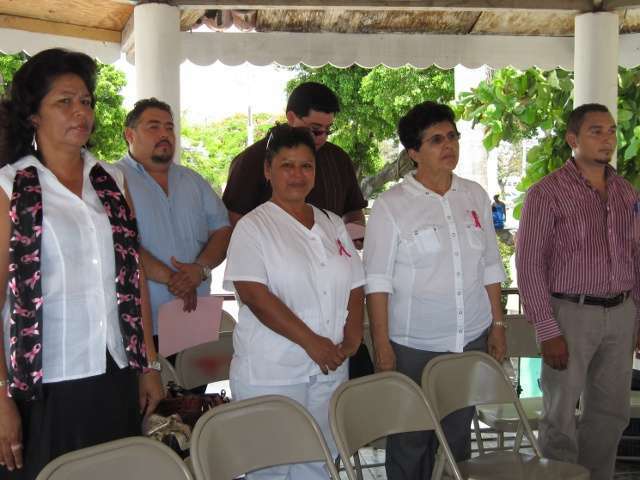 Nurse Lourdes Heredia of the Corozal Community Hospital served as Mistress of Cermony. 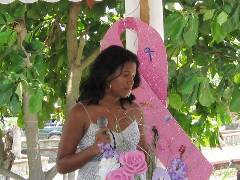 Ms. Anika Perez sang the National Anthem after the Mexican National Anthem was played, and Ms. Perez also gave a beautiful rendition of the song “Wind Beneath My Wings" later in the program. 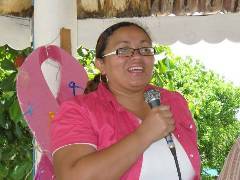 Mrs. Romangie Waight gave the welcome and offered a poem. Remarks were made by Dr. Melanie Grange, President of the Corozal Cancer Society group, Mrs. Laura Tucker-Longsworth, President of the Belize Branch of the Belize Cancer Society, and Dr. Santiago Alvarado, Sub-Secretario de Salus from Chetumal, Mexico. The keynote address was delivered by Hon. Pablo Marin, Minister of Health and Corozal Bay Representative. 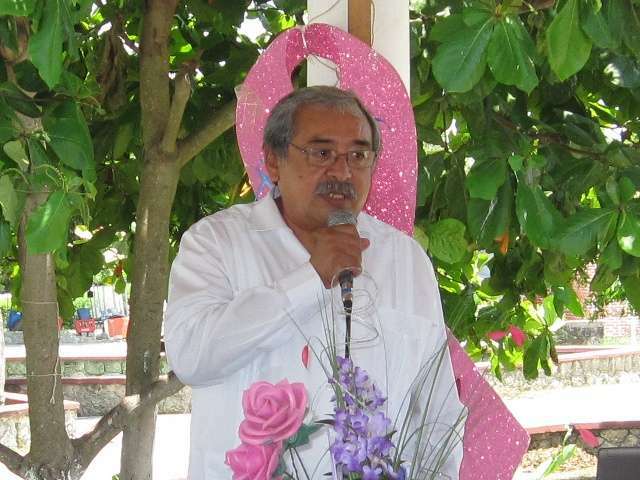 Dr. Angel Campos gave the Thank you. 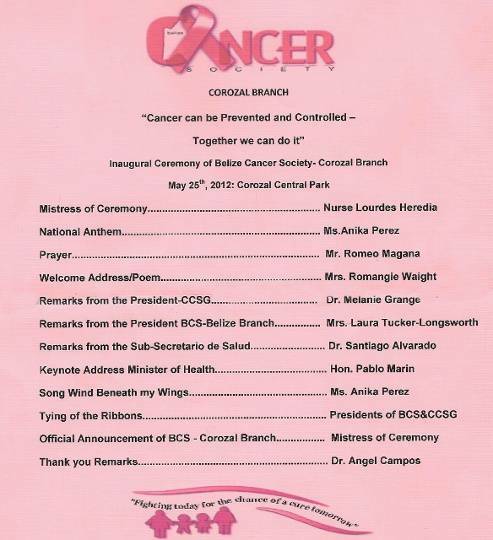 Dr. Grange explained for this ceremony, rather than a ribbon "cutting", they would perform an official ribbon "tying", signifying that by working together, more could be done to fight cancer, in keeping with the togetherness in in the theme, "Cancer Can Be Prevented and Controlled, Together We Can Do it." 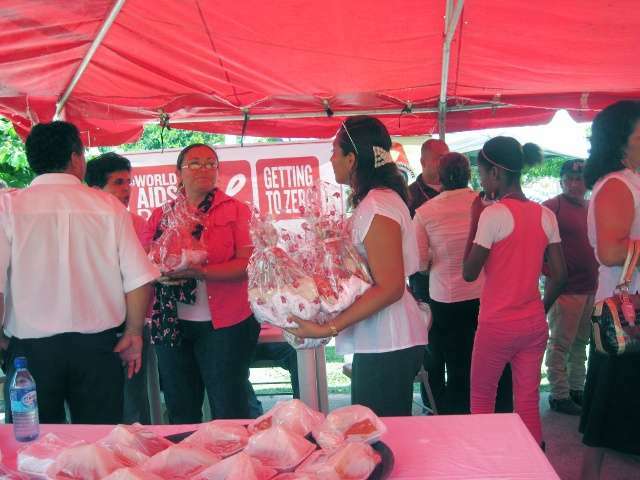 After the ceremony, refreshments were served, and there were booths set up by other projects, HIV/AIDS, Mental Health (Nurse Blanco), and NDACC. 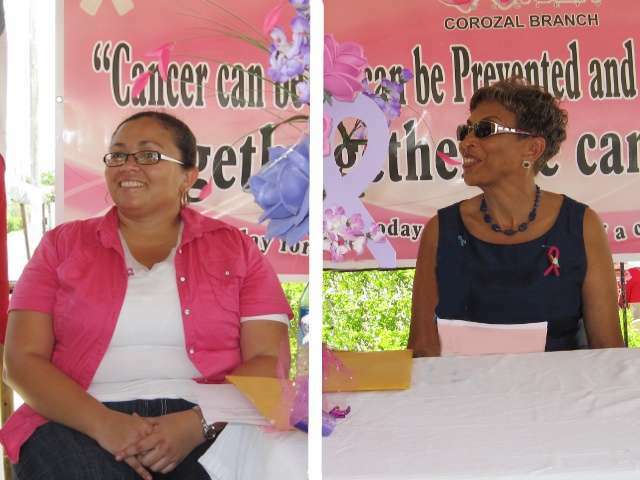 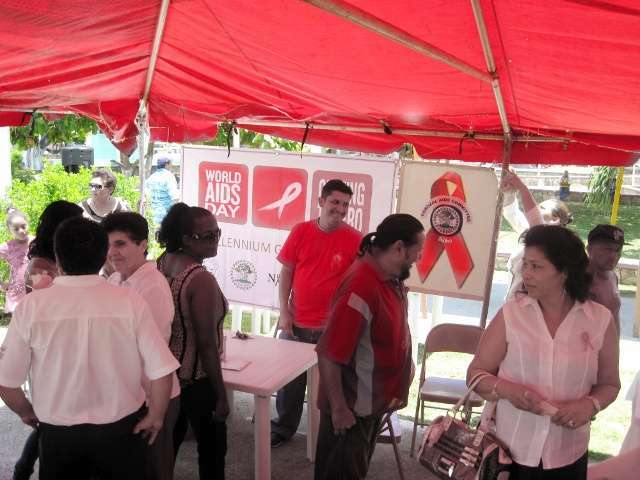 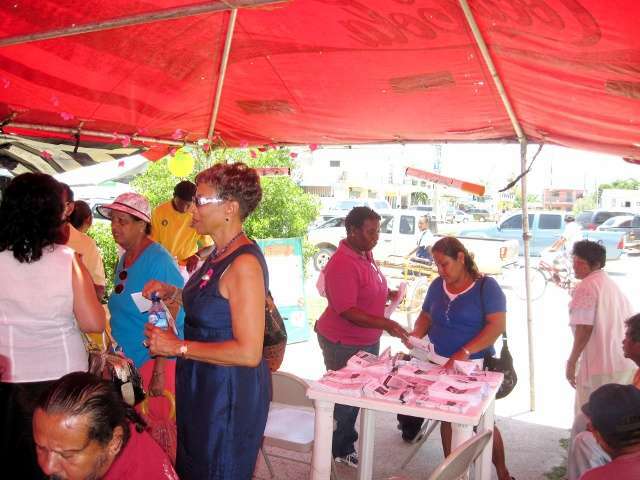 The day following the launch, a Cancer Awareness Walk was held in Corozal Town. Many people showed up to support this event, see the images here. 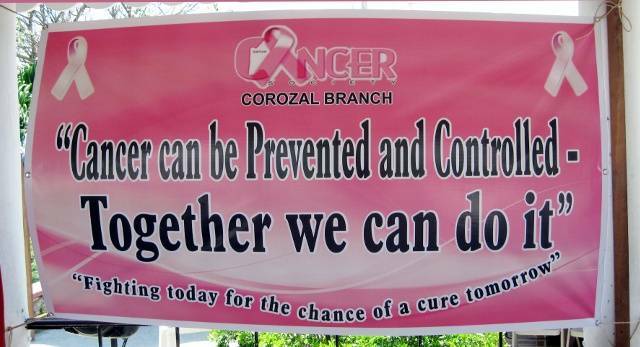 Printed from https://corozal.com — Corozal Bz Cancer Society Launch.